70 years after the German ‘ghostship’ S/S Homberg reached Malmö harbour new information about its cargo of war-torn WWII survivors has been unveiled. 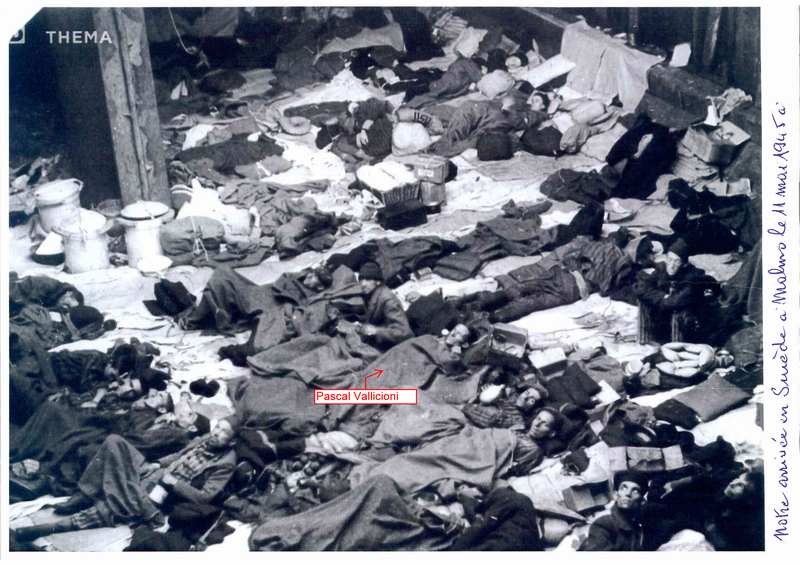 We are now able to identify several survivors who were caught on camera upon their arrival in 1945. 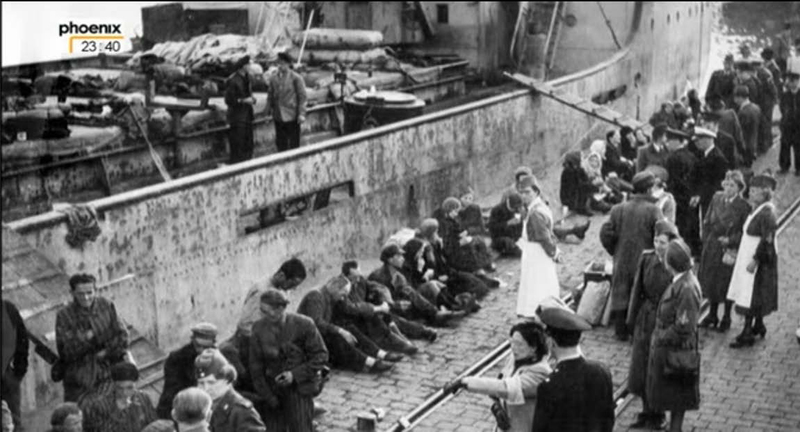 In the last scenes of Harbour of Hope archive pictures show the ship’s arrival at Malmö harbour on 11 May 1945. The ship, containing nearly 2000 survivors from the German concentration camps had been found by a coastguard drifting outside Malmö. It had been floating somewhere in the Baltic Sea for a whole week with no command. It’s believed that German officers had abandoned the ship once they found out about the German defeat in the beginning of May 1945. The survivors; most of them Russian, Polish and French, had been without food or water for a week, and were in a terrible state upon the arrival. Four had died and many had become infected with typhus fever and other diseases. 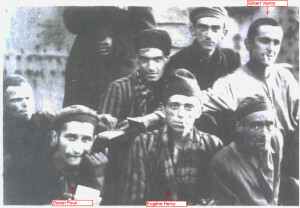 With the help from two French survivors who recognised themselves in Harbour of Hope – Daniel Poux (born 1927 in Oyonnax) and Pascal Valliccioni (born 1926 in Toulon) - as well as Neuengamme Concentration Camp Museum, we are now able to identify a number of people who are visible in the archive pictures from S/S Homberg‘s arrival. Recently we received an e-mail from Pascal Valliccioni confirming that he was one of the survivors arriving in Malmö, and explaining how he stumbled upon the pictures. Both Pascal and Daniel had been detained at the Neuengamme satellite camp in Wilhelmshaven. Daniel had been assigned to forced labour and Pascal, who had been active in the French Resistance, was forced to work as a welder of German submarines. When the camp was evacuated in April 1945 they were sent on a death march. After reaching Flensburg by the Danish border they were placed on S/S Homberg. Barely escaping death before the ship was picked up by the Swedish coast guard. Pascal stayed in Sweden until the beginning of July 1945. He retains fond memories of the kindness and generosity that he was met by. One of the Red cross sisters lost her life when treating the passengers of S/S Homberg, Gertrud Fröberg. She became infected by typhus and died shortly after. Gertrud’s story is told in Harbour of Hope, by her son Bo Fröberg. Daniel Poux and Pascal Valliccioni were reunited at the Commemoration of the 70th Anniversary of the Liberation of the Neuengamme Concentration Camp in May last year. They had the chance to study the pictures of their arrival in Malmö harbour 70 years earlier and managed to identify fellow French survivors Eugene Hervy and Gilbert Ventry (first photo above). Today Daniel lives in a suburb in the North of Paris and Pascal lives in the South of France. More info about the French survivors of S/S Homberg coming soon.